The HSG151 publication by the Health and Safety Executive entitled “Protecting the Public – Your next move” gives plenty of advice to help you conform to legislation. Heras Mobile Fencing & Security is a nationwide supplier of temporary fencing systems. We deliver millions of metres every year and are the inventors of mesh panel fencing. 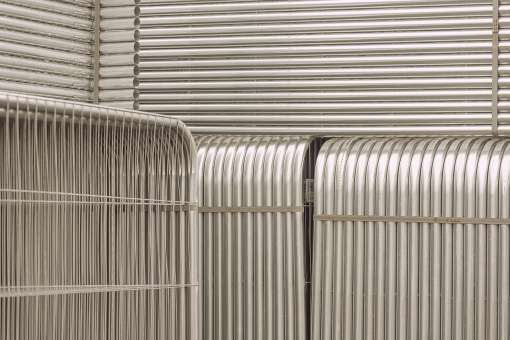 Heras Readyhoard is a portable steel hoarding system that can be installed in the ground or on the ground. Available in two different heights’ and in a range of corporate colours, Heras Readyhoard is an ideal alternative to timber. 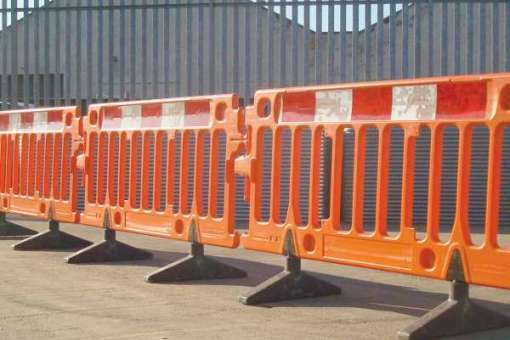 Manufactured from UV stabilized prime polyethylene our barriers are perfect for any circumstance. Easy to handle or heavy duty. The Heras Acoustic Barrier is a sound absorbing panel that is fixed easily to any Heras Panel. The Heras Noise Control Barrier turned out to be the most effective, simple, mobile and cost effective solution for the reduction of noise pollution at the railway station. Accommodation, welfare facilities, security and temporary fencing are just some of the things we need to consider at site set up stage and it always poses the question of whether these site facilities should be bought outright or hired. 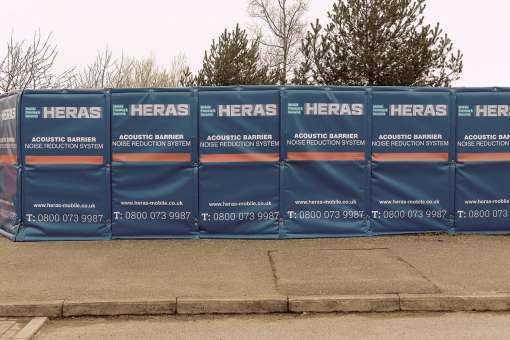 When it comes to temporary fencing, Heras Readyfence Hire & Sales offers all our products on a hire or sale basis for collection or delivery across the UK. 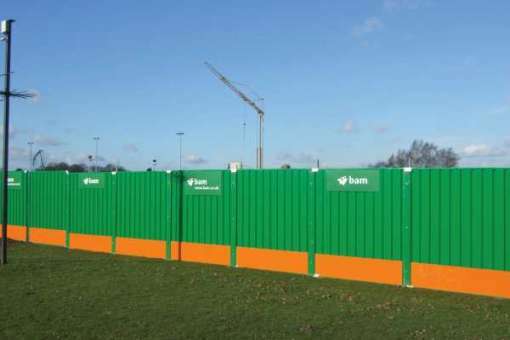 Whether you need Heras mesh, hoarding, barriers or specialist products we can help. Here is a little guide of the considerations you should be making and the pros and cons of hiring or buying temporary fencing products. The budget you have available for site set up can often determine whether you should look to hire or buy temporary fencing for your site.There are ways you can offset your site set up costs, and customers using the Heras Airmesh or Heras Acoustic Barrier can use the printing capability to sell advertising space; which is great for city centre sites that attract a lot of passers by.Another way you can save money when buying temporary fencing is taking advantage of our buyback scheme; just contact us to find out more. 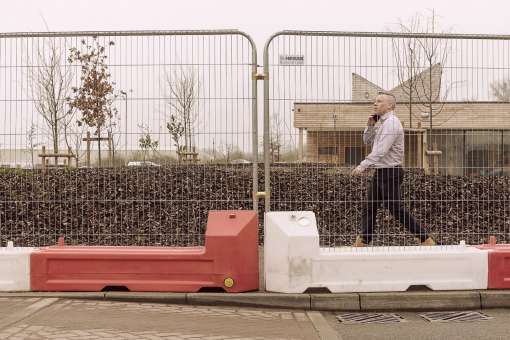 How long do you need your temporary fencing on site? 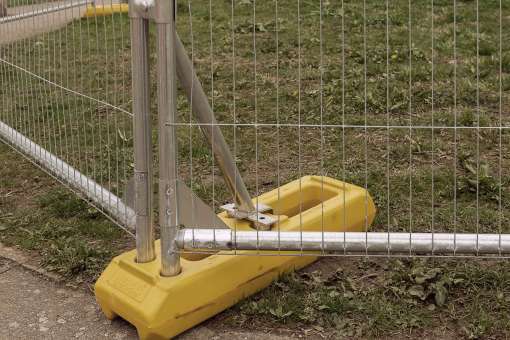 As a general rule of thumb, hiring a system with us can be the most cost effective option, but if your site enabling works and construction is likely to go on for a long period of time then buying your temporary fencing products may work out more cost effective. Ask us for a quote and we can provide we with prices based on hire and sale for you to compare the two. How many metres do you need? Be it ten metres or a thousand metres, we can cope with jobs small or large. Obviously, if you only need ten panels this is going to cost much less than hiring or buying a thousand metres but it’s still a consideration you should think about when looking to hire or buy a fencing system. If you need temporary fencing on site tomorrow, we are happy to arrange collection or delivery of all the systems we hire and sell. Our depots are fully stocked with a range of products. The advantage of planning in advance means that we can pass on our very best transport costs to you. What will you do with your temporary fencing when you have finished using it? Once your site is complete, if you have hired your system all you need to do is give us a call and we’ll arrange collection. If you have bought your fencing then you have the advantage of using your products straight onto your next site, or taking advantage of our buy back scheme. Now that you’ve weighed up the pros and cons, why not ask our National Control Centre for a price by sending us an enquiry or calling 0844 4720011.